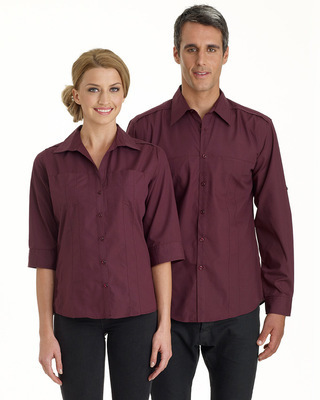 Description: Men's Long Sleeve Shirt with Concealed Pockets & Tab on Sleeve. 65% polyester 35% cotton regular fabric. Concealed twin pockets with stitch detail. Roll up tab on sleeves. Shoulder & back yoke seam detail.